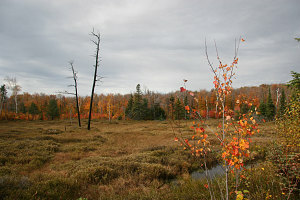 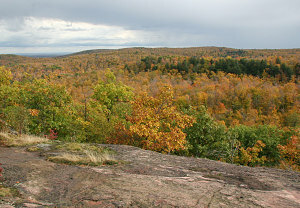 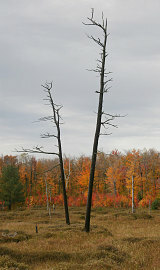 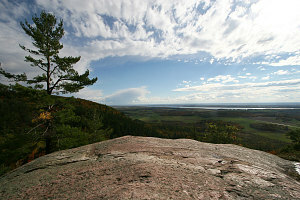 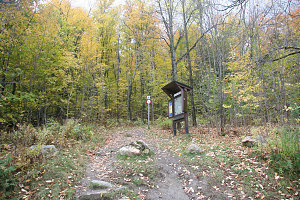 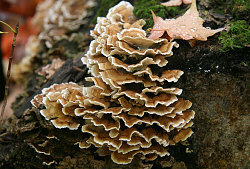 A short image gallery of a hike in my own backyard - Gatineau Park just north of Ottawa. 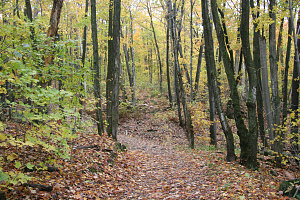 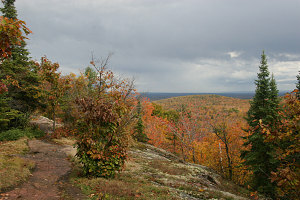 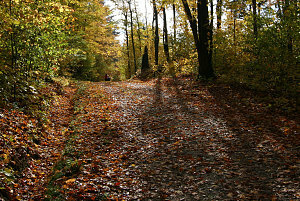 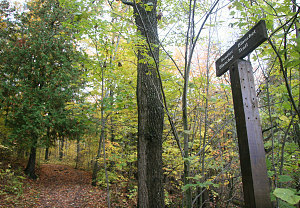 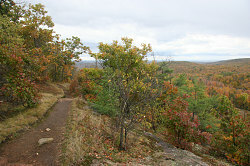 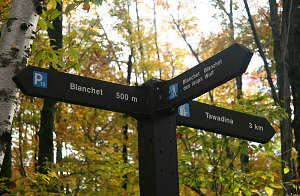 The image gallery is of one of the nicer trails, called the "wolf trail". 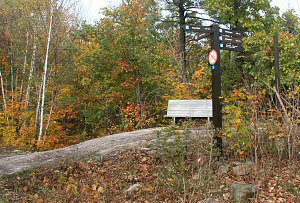 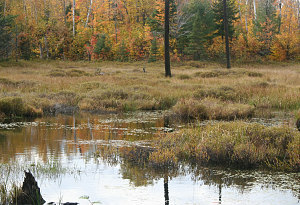 It is often done as a loop, and provides pretty walking through mixed hilly woodlands, past marshes and beaver ponds, and past several scenic lookouts. 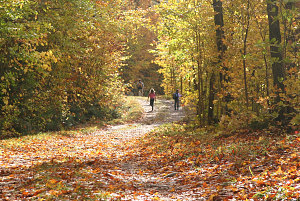 In reality, I was joining Peter K and Caroline in a reconnaisance hike for a future work outing of Peter's - but that was a good excuse to get out, enjoy some fresh air, and get some exercise. 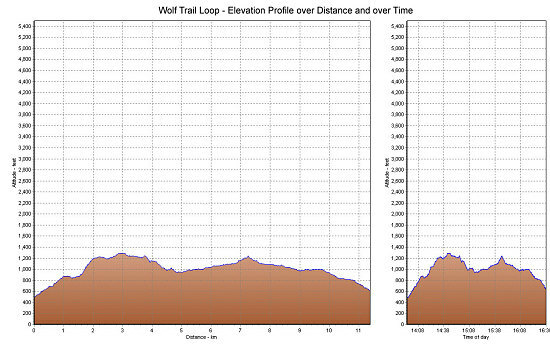 The map below is a fully-interactive google-based map, with the location of our Wolf Trail loop hike highlighted and the actual GPS tracklog shown in red. 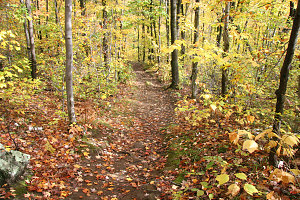 If you double-click on the map, you will get a full-size popup that includes the GPS track in 10x higher detail, clickable icons for each picture taken on the hike, and the ability to view all of this on a highway or satellite map.